They were fast easy and trustworthy. Knowledgeable and answered every question, including where his company lands on the price scale and why. Great job! I’ve had six electrician services work on my house projects, none came close to providing the quality of service provided by As-You-Wish Electric. This company was the most customer friendly company I’ve had the pleasure to do business with in a decade. Call the main number and you get an actual person who is genuinely interested in helping. The estimator did not try to sell me services, instead he was an experienced voice helping to guide my decision-making. The team of electricians who did the install, were exceptional. Micah Brediger ( team leader) made me feel as if I was on a project with an old friend. The work itself was expeditiously handled. The rooms where the work was done were left clean and orderly. You would not have guest that electrical reworking requiring wall intrusion, took place. No need for drywall patching though if there were a need As-You-Wish had a specialist referral standing by. The price was well inside the “fair” range. If you need it done right, call this company. I contacted As You Wish Electric for multiple locations. The first visit was for estimates and we did both locations in the same visit. The company sent reminders as well as messages when the electrician, Bernie, was on his way. This included his picture, which was a very nice touch to know the face of the person you are expecting. He was on time and provided me with the best estimate he could considering the work that I needed done. He came back to each of the locations and did a great job. He was friendly, knowledgeable, considerate and quick. 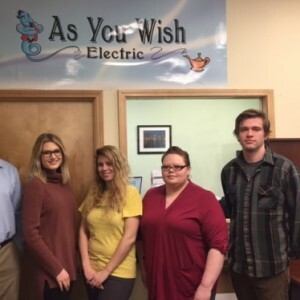 I highly recommend As You Wish Electric as a company and Bernie for the electrician. Although he did come with other helpers who were knowledgeable and friendly as well. This is the second time I had As You Wish come out and do work. Last time Jason installed some new can lights for us by himself. This time he had an apprentice Rohnil with him. This time they ran a new circuit to my stove. They went above and beyond on the work. First, taking time to confirm I actually NEEDED the new circuit, like the appliance company told me. Then once we confirmed that the circuit was actually validly overloaded, they did an awesome job installing the new circuit. Took them only a couple hours, and they were out the door. Even did one other small project for me quickly. Thank you for the great work! Will always recommend to anyone who needs an electrician! 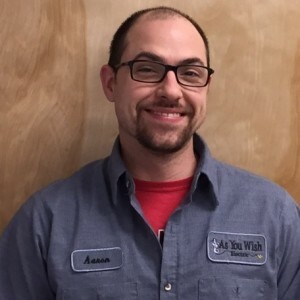 Micah from As You Wish Electric was prompt, friendly, professional, and affordable. They were able to schedule an electrician to come out the next day! Bernie was friendly, easy to talk to, quick to respond, and efficiently fixed our problems. Aaron cam out to trouble shoot un-finished work left by another company. Very professional, he clearly communicated to me what the issue was. Problem was solved. they are the 3rd electric company I've dealt with and I highly recommend them. Francisco was a total pleasure to work with. On time, knowledgeable and courteous. Would definitely use As You Wish again for any electrical work I might have in the future. Fransisco M did a top notch job, being thorough, very polite and getting to the root of the problem efficiently. He was willing to explain the voltage issues, and answer the other questions I had about the power supply problem. With him having a positive attitude in the cold wind, snow, and Icy weather was a bonus. Shadrin is very professional and gets things done. He not only fixed the problem he came for, he also helped with my Dishwasher, getting that running perfectly as well. Highly recommend! Very good work. Diagnosed our problem right away. Shadrin M has a 5-Star rating and leads the company in total reviews, making this pro a ReviewBuzz Rockstar! Shadrin enjoys spending his weekends with his family and watching his daughter play sports. When football season rolls around you will more than likely find him cheering on his favorite team the Seattle Seahawks. GO HAWKS!! Aside from sports Shadrin has a passion for cooking and Sudoku Puzzles. Shadrin and Ty, his apprentice, did a great job installing a new breaker and power line for my new variable phase air conditional. It required rearranging the existing breakers and installing an external line. Looks great and was completed in perfect timing for the system installation. Thank you! This is the second time we have used As You Wish Electric and we were as pleased as we were the first time. Excellent phone contacts, appointment reminder, and prompt arrival. Shadrin assessed the project and found the perfect solution and the cost was very reasonable. Shadrin and Stonney provided power for a new AC unit. They worked as a great team, respected my home and time. Asked and answered questions and would have them back for any future electrical work. 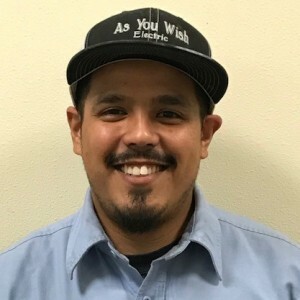 Shadrin M, Electrician for As You Wish Electric performed diagnostics on my electrical system, panel, and septic system storm water pump breaker, after the recent storm damage sent a surge through my system knocking off various breakers and equipment. 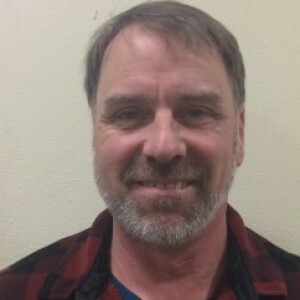 My initial contact was with Paul who provided immediate assistance and scheduled someone quickly due to the fact the septic system might back up and the refrigerator among other things was not working. Shadrin provided professional, efficient, knowledgeable, analysis, and is an excellent and personable communicator. This company gets top marks from me and I will not hesitate to recommend people to them. We needed a significant amount of rewiring on our house and got a few quotes -- AYWE was the most reasonably priced, the most responsive, and the quickest to get booked with. Shadrin and Stoney (apprentice) were respectful, friendly, trustworthy, and did great work. They addressed all the concerns we had and fixed other things we hadn't even noticed that now make our lives easier (the wiring in this house was super wonky!). We did have to call back because a couple clean up details got overlooked, but AYWE was willing to send someone out the same day to fix it. The person that came to help with that was also fantastic. My partner and I are both queer and trans, so we sometimes feel nervous about bringing people we don't know into our home. Once we met Shadrin and Stoney we felt totally comfortable, and they were respectful in all their interactions with us. As a bonus, they wore shoe covers in the house and they loved our dog. Friendly electrician and apprentice with great suggestions for how to make our ideas better. I had an appointment for a quote and diagnostic. Shadrin was patient, honest, polite, intelligent and very professional. 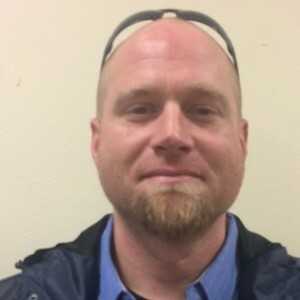 He took his time answering all my questions, ran a diagnostic on some outlets that weren't working outside, fixed them and wrote up a quote for some additional projects I requested quotes for. The quotes were reasobably priced and I will definetly hire them to complete these projects. I am so impressed with the professionalism and excellent customer service I received from Shadrin and his apprentice Stoney. The job I needed required adding different outlets in tricky places, and they both did a fantastic job. The work was done on time, and they cleaned up really well. Highly recommend going with As You Wish! Just wanted to send a quick message to thank Shadrin and his apprentice (Stoney) for the great work they did at my new house last week. From the moment we got a quote from Shadrin, I was really impressed with his customer service and professionalism. Great service! I recently moved into the area and had some major electrical work to do in our new home. After shopping around I can say that As You Wish Electric is a great operation. In particular Shadrin and Stoney were knowledgeable, professional, and personable. Work was done well and I know who we'll call for our next job! Thanks guys! Shadrin did a fantastic job from start to finish. Would definitely hire him again. We had excellent work done by the person Shadrin Martin. All our contact with any individual from this firm were very polite, very business like, worked fast and explained what and how they would perform the project. Shadrin Martin came to diagnose an issue with a blown circuit. He was thorough, explained what he was doing, answered my questions, and fixed the problem. He was professional and friendly the whole time. I also found out he worked on wiring up our hot tub several months ago, and we are pleased with that work as well. I highly recommend Shadrin and As You Wish Electric! These guys were fantastic! First they offered us an appointment the day I called, though we delayed a couple days. We needed switches moved in order to put in a sliding glass door, plus a new outlet put in to mount an over-the-range microwave, and deal with smoke detector that was chirping that we didn't know how to shut off. They quickly generated an estimate, and then went about their work and within a couple of hours had everything done. They cleaned up beautifully, were very friendly and courteous, and did a great job addressing everything. If we ever need any other electrical work done, I will definitely be calling these guys.